Home > How To Get Unbeatable Real Estate Assistance…Even if You Have No Credit! There’s a very simple trick to getting the real estate assistance you need, even if you’re not at all sure about your credit rating. The trick is to call for help. And not just any help — specifically, Shaun Alston at Eagle Realty. You may hear from various friends or co-workers that you can make real estate transactions all on your own. This is technically true. All it takes is insight into the real estate market, the financial background to carry the entire transaction through, the time to find the perfect home in the perfect neighborhood, and the legal smarts to create contracts that protect you now and in the future. Obviously not. Real estate is incredibly complex and touches on much more than simply looking through online listings until the right house appears. This is why professional realtors exist. And of all realtors in Sacramento, CA, Shaun Alston is your best bet. Shaun is a real estate agent and broker and interior designer all in one. It’s the perfect combination of real estate savvy, passion and assistance. You could contact one agent to help, or one broker, but you’ll rarely find one hard-working individual like Shaun who comes with all the tools in one toolbox. 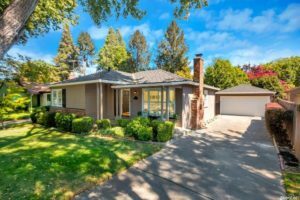 An agent connects buyers and sellers; a broker is the intermediary who handles the transaction. An agent knows the listings; a broker knows the market. An agent can help you find a home, or help you find a buyer for your current home; an agent who is also a broker can get you the best deal possible. When shopping for a new home, or selling your home, your safest play is to work directly with an agent/broker. What value does a designer bring to real estate? Shaun is not just passionate — he’s certified! 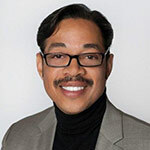 Shaun Alston is an ASID-certified interior designer. He has won numerous awards as designer and contractor, including NARI’s National Contractor of the Year for Best Whole House, Best Bath, and Best Kitchen. This underpinning element can mean a world of difference. If you’re selling a home, Shaun can help you prepare your home to get the best possible price. If you’re buying a home, Shaun can help you envision the perfect space in an opportunity you may have otherwise overlooked. Either way, it’s helpful to have an eye for design and a mind for negotiating to help you every step of the way. Shaun Alston works with first-time buyers, even those with bad credit or no credit. With a foundation of financial expertise, market savvy and imaginative insight, Shaun Alston is the perfect resource for getting started. Reach out to Shaun online or call (916) 698-4646.